L.A. Girl is all about bringing artistry to life by providing premium quality color cosmetics to all makeup users alike - from the savvy beauty junkie to the inspired novice. 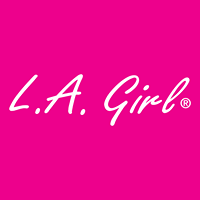 As an affordable luxury cosmetics brand, L.A. Girl Cosmetics puts a glamorous spin on beauty by creating new ways to inspire expression through the art of color. Since 1985, Beauty 21 Cosmetics has taken pride in offering on-trend, innovative, and exceptional quality products. With an amazing selection of high-quality products that cater to makeup enthusiasts all over the world, L.A. Girl has become a destination brand that offers beauty without compromise – BEAUTY FOR ALL!